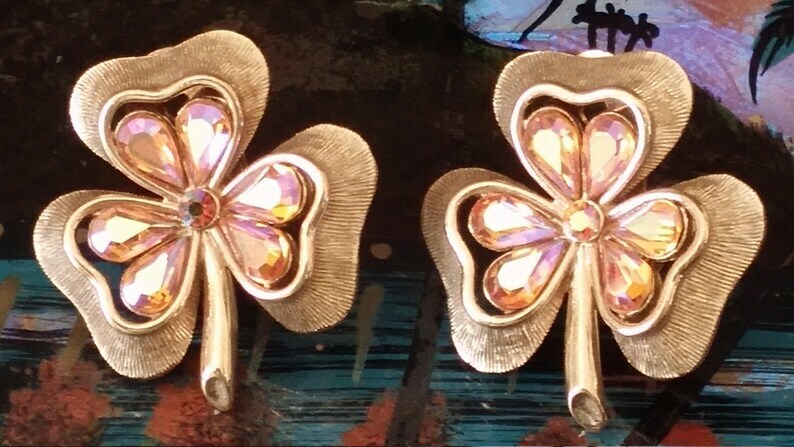 These lovely clover shaped clip back earrings are signed BERGERE. They have pink tear drop shaped aurora borealis crystals set in petal of the clover. The gold tone metal has a textured finish. They measure 1-1/4" and are in very good condition with no wear to the gold tone metal finish.